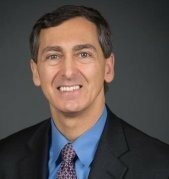 Joseph B. LaRocco advises numerous businesses on saving money on credit card processing, as well as selecting the best POS system for their business, reducing the cost of online payment processing, reducing credit card fraud and integrating chip card technology into their current point-of-sale (POS) system. Mr. LaRocco’s introduction into the electronic payments industry began about 8 years ago when he started advising various clients in the industry. Over the years he has advised not only small business owners, but many larger businesses as well. Some of his clients have included restaurants, liquor stores, dry cleaners, technology companies, auto repair shops, pet care, ISOs, merchant sales representatives, merchant processing sales companies and non-profit organizations. He has provided hands on care to business owners and managers involving the acceptance of chip cards, also referred to as EuroPay-MasterCard-Visa, or simply EMV. Unfortunately, this topic has caused merchants and their customers quite of bit of aggravation as it started to become implemented in 2015. Joseph B. LaRocco does his best to provide the simplest and most cost effective EMV solution for merchants. Some of these solutions include pay at table solutions, POS System integration for EMV and even multi-store location solutions. The governmental sector is yet another area seeing changes in technology that is one of the few industries that allows the cost of processing to be passed on to the consumer, as long as the proper software and procedures are followed. Joseph LaRocco advises small and large businesses on integration of their systems with various electronic payment options, the EMV liability shift, corporate planning and strategy, funding and financing options. His advice over the years has helped many business owners and companies achieve their goals. Joseph LaRocco is also and attorney and has advised businesses in the merchant processing industry regarding ISO (Independent Service Organization) agreements, strategic partnership agreements, confidentiality agreements, PCI compliance issues, merchant services disputes and breach of contract disputes. Mr. LaRocco is a lawyer practicing in Connecticut, mainly in the Fairfield County and New Haven County areas. He assists many merchants, bookkeepers, accountants, CFOs, CTOs and even CIOs who visit his site or meet with him looking for straightforward answers on credit card processing, POS integration and EMV integration solutions. His goal is to take all the mystery and confusion out of what many feel is an unnecessarily complicated industry. Currently, Joseph B. LaRocco is East Coast Regional Director for a U.S. based merchant processing sales company that offers its services across the US as well as some of the major countries in Europe. In addition to bringing in new business from various industries, he also reviews referral partnerships with community banks, credit unions, software developers and various business professionals. More about Joseph B. LaRocco on LinkedIn.